In a rare act of fruity kindness, Apple and Amazon – and, of course, us – are giving you the rare opportunity to save 5% on the recommended selling price of Apple Watch Series 4. Given how new this hardware is, this is a great opportunity to make a saving. As a general rule of thumb, Cupertino-based Apple hasn’t historically liked to offer discounts on its hardware. And, this especially applies to brand new current-generation hardware like Apple Watch Series 4. This has generally been down to the fact that it sees its hardware and offerings as falling under the premium category with the belief that any discount applied would devalue to company’s placing as a provider of premium hardware and software. With that said, things are starting to change in that area, slowly but surely, resulting in limited-time discounts like these. 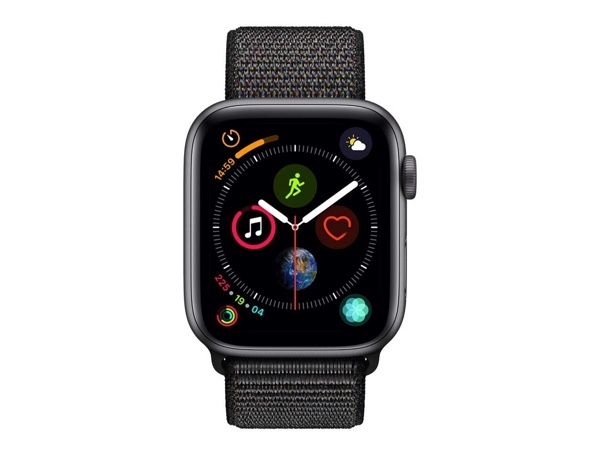 So, what we have here is a small, but notable, discount on Apple Watch Series 4 which will let you be the proud owner of Apple’s latest watchOS-powered hardware for just $407.55. That represents a saving of approximately $21 off of the standard $430 selling price. And, let’s make no mistake about it here, Apple Watch is currently the world’s most popular watch, so Apple doesn’t need to be offering this discount. It is, however, in Apple’s best interests to get this hardware on as many wrists as possible, especially considering the fact that it’s already proven itself to be a possible literal lifesaver. This Apple Watch is a Space Gray aluminum offering, 44mm in size, and complete with a display that is over 30%larger than previous models. This means that you get more information on your wrist, additional space for Complications, and just an overall better and improved visual experience. It comes with Apple’s own S4 64-bit dual-core processor for a faster and snappier experience combined with the improvements made within watchOS 5. It’s swimproof, offers GPS for independent tracking without the iPhone, and comes with fall detection, electrical and optical heart sensors, and an improved Digital Crown with haptic feedback. In short, this is the only smartwatch that you really need to be considering, and you get it from the link below with a 5-percent discount applied, right now! Just a notice to everyone : Apple Watch 4’s ECG/EKG works everywhere in the world when using a US bought AW4, so there is no need to pay more for AW4 or wait for your local health authorities for approval. same here, had added it to my cart with the discount and stopped short of buying it to think about it, came back a half hour later and it had disappeared from my cart. it seems like amazon itself (as a seller) “ran out” of them since now it is only available from 3rd parties.